That’s why at TDS we throw a pretty mean Sales Summit for our Commercial Salesmen and women. Spectacular might be an understatement. The end result is a motivated group of high-powered, energetic sellers who know their goals and what’s expected of them in the coming year. If you’re a business owner (of any size), consider introducing an annual “Sales Summit” into the equation. It doesn’t have to be a huge undertaking either. Start small, but make it count. Already have one? Great. Have a look at the checklist and make sure you’re doing it right. Here are the seven essential things every Sales Summit needs. Get a speaker. Ideally, you’d bring someone else in to deliver a fresh message that’s going to motivate people. Your VP of Sales or equivalent will work great, too. But make sure they focus on broad, exciting ideas rather than the fine details of selling or the importance making goal.—Stories go a long way. Spend some money. Sales people like to be sold. They’ve mastered their craft, so you should too. Much like they would do with a valued client, they want to feel valued and appreciated. Remember, these are the people directly bringing in revenue for you. Use some of the funds from their hard-earned work on them! Introduce the strategy for the year. Setting a new baseline, getting everyone on the same page: call it what you want—this is your chance to set the tone for the next year. Have breakout sessions. 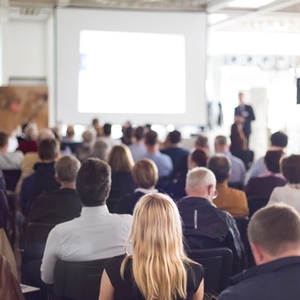 Invite a handful of leaders from other departments to give product or marketing presentations. If your Sales folks know the marketing materials front-to-back and are up-to-date on product launches, they’re going to be able to serve your customers that much better. Include Music. It might seem like an unimportant detail, but music plays an important role in achieving the level of energy you want in the room. Play it on breaks, before speakers take the stage, and when winners are announced. I guarantee it will make the room come alive and create the necessary environment for a successful Sales Summit. A little Led Zeppelin never hurt anyone! Celebrate the go-getters. At TDS this is called the “President’s Club.” They’re announced in front of the whole sales group with walk-up music, fanfare, a special cocktail reception, and a trip to a luxurious resort (this year they’re headed to Jamaica). Perhaps you don’t have the margin to spend on all of this. That’s alright. Just pick one or two of these things and make it happen. These folks deserve to be recognized by their leaders AND peers. Ask your winners how it’s done. This is part of honoring your top performers for the experts they are. Encourage them to share with the rest of the group their methods for staying motivated and reaching their level of success. Watch the video below to see how we executed this with a few of our President’s Club Winners from last year!